People frequently gather in the main square of Ayacucho for fiestas and celebrations. Since the pre-Hispanic era, the region of Ayacucho has been characterized by its music and crafts. 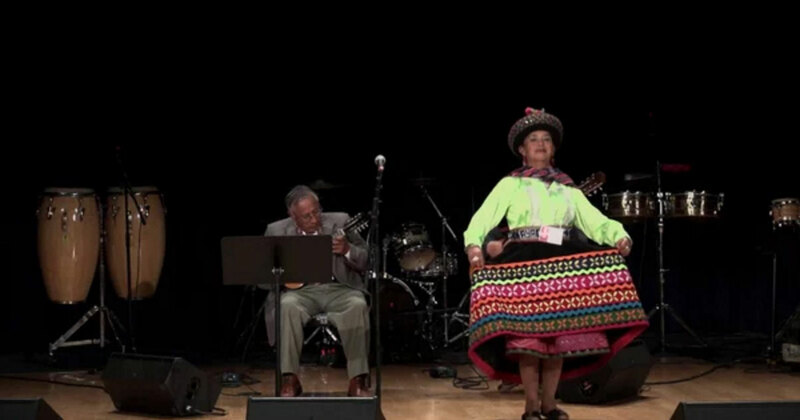 The region is especially known for its musicians and bilingual Quechua and Spanish singers. Music accompanies work in the fields, fiestas, and funerals, with genres such as the huayno, Marinera, yaraví, and muliza. Popular throughout Peru, huayno is a traditional genre with Andean roots that incorporates both pre-Hispanic and Western musical elements. Each region has its own style. One of the most popular in Ayacucho is interpreted by the Estudiantina Municipal de Ayacucho, an ensemble which includes guitars, mandolins, charangos (lutes), violins, quenas (flutes), and occasionally harps and plucked bandurrias. La Estudiantina Municipal de Ayacucho performs in the town of Ayacucho's main plaza.